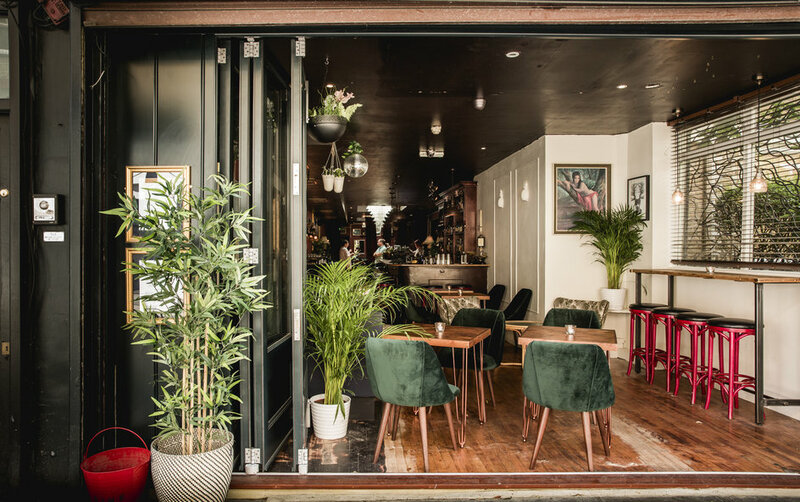 The complexities of navigating the restaurant scene in Islington does require a masters degree at times, so it was with much excitement when I was told of this exciting new brunch venue I needed to check out called Little Bat. When you google the venue, it does say “Islington Cocktail Bar” so it was with some trepidation that I decided to invite my parents along for brunch there. Thankfully, when we all arrived, there was a knowing grin of approval from them as they appreciated the hip surroundings with splendid-looking chandeliers along with various knick-knacks that inspired much interest from all 3 of us. It might be Islington, but it sure felt very Shoreditch at this quirky venue. They even have a brilliant system of allowing you to leave a bottle of spirit in “the family cabinet” which you can drink from for free but also if anyone wants to take a nip from the bottle, you can get money off your next bill at the venue. 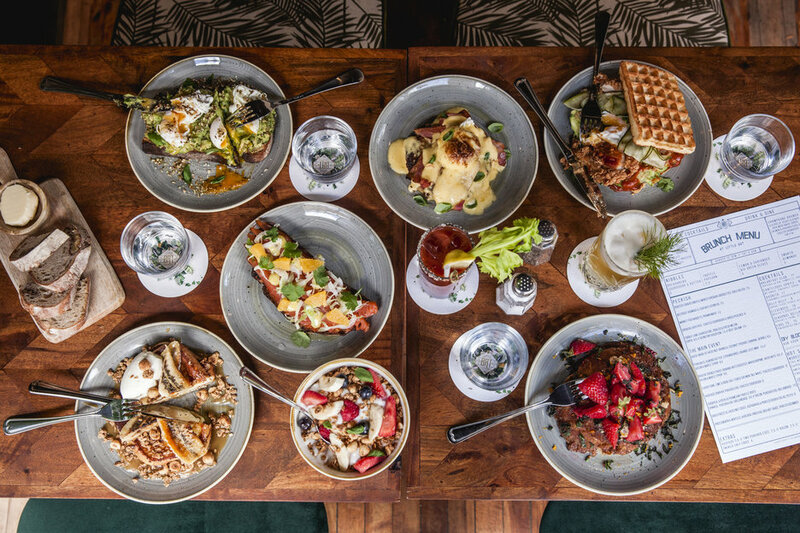 To be a competitive brunch venue these days, you do need to provide a bottomless offer. 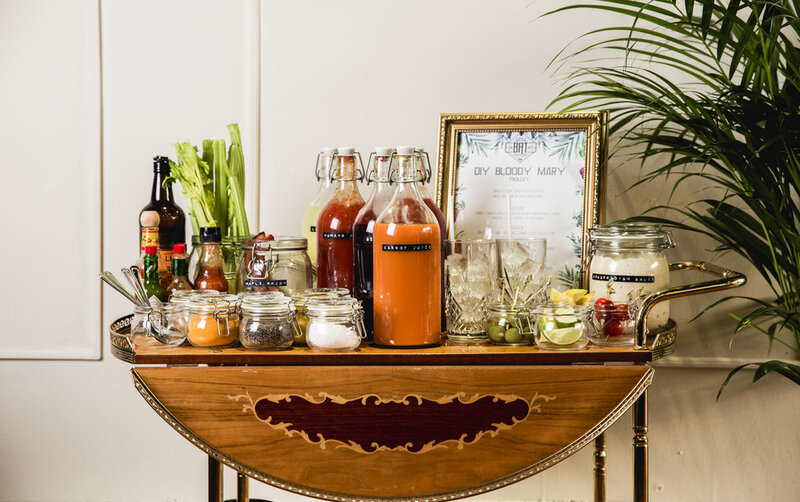 Here, they give you unlimited Bloody Mary’s, Prosecco and Mimosas at £25pp for a 2 hour period when combined with the brunch. I’ve never been much of a beetroot fan, but their beetroot houmous is one of those must-order dishes from their menu. It’s vibrantly presented in a sharp red colour. The mashed chickpeas have been very well grounded and were the ideal spread for their delicious za’atar bread. For the main event, it seemed deceptively little but ended up being relatively filling. We started off with a gorgeously cured salmon that has been prepared in-house. It wasn’t overly salty like some you might find in supermarkets and it had the oiliness from the healthy omega-3 which we should all be having more of. 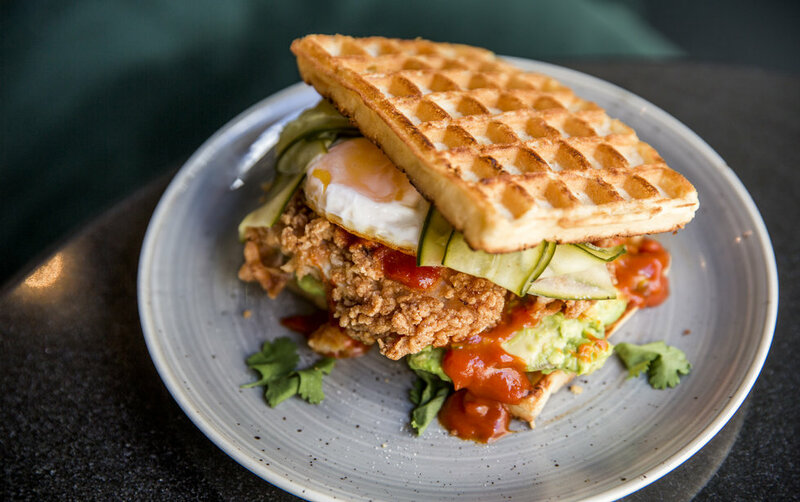 The pièce de résistance, here is their fried chicken and waffles with avocado, fried egg, BBQ hot sauce and pickled cucumber. It had seemed like an odd combination to me at first, but from my first mouthful, I knew this was a match made in foodie heaven. The fried egg with the yolk soaking into the waffles and chicken was just the icing on the top for this masterpiece. Little Bat might seem like just a cocktail bar, but instead of heading there for late nights only, I would strongly recommend waking up early on a Saturday and Sunday and getting a table there.